Five months before the beginning of the J/24 World Championship, many selective processes have finished and we have more information about the competitors that will participate in the event. In Argentina, the selective process finished last sunday. In Buenos Aires the crews led by Joaquín Doval, Franciso Campero, Matías Pereira, Miguel Saubidet, Fernando Montes, Luis Cerrato, Federico Reser, Nicolás Cubría, Juan Manuel Duarte, Gastón Tagliaferri, Santiago Doval and Sergio Péndola were classified. In addition, Jorge Samitier and Fernando Landini were the winners of the playoff that organized the CUBA last June 20th. Mar del Plata’s fleet is composed by Juan Grimaldi, Francisco Van Avermaete, Luis Monjeau y Avedis Sahakian, with their respective tripulations. From Córdoba, Nicolás Gieco and his crew (Luciano Pesci, Mariana Abate, Maximiliano Juarez Dover y Luciano Juarez Dover) were classified as well. Furthermore, Alejandro Rossi and Alejo Rigoni, South American champions 2009 and 2011 were classified and a Wildcard was given to Federico Lloveras, from the northpatagonic fleet, who is racing with Julio Costa Paz, Leo Moldes, Manuel Gonzalez Vidal and Goran Magister. The IJCA gave has also reserved a place for Roberto Luis Authier because of being outstanding licensed builder of the class. Other countries have finished their selective processes too: in Greece, Dimitris Altsiadis, Dimitris Kolios, Giorgos Fragos and Giorgos Vitsakis were classified; in Perú, the selected ones were Luis Alberto Olcese and Javier Arribas and in USA – JCA the classified were John Mollicone, Will Welles, Keith Whittemore, Michael Johnson, Scott Milne, Peter Fischel, Colin Leon, Tim Healy, Dan Borrer, Charles Enright, Carter White, John Surguy and Don Taylor. In Uruguay, the selective process will finish on august 28th with the Uruguayan Championship that will be held in the YCU. 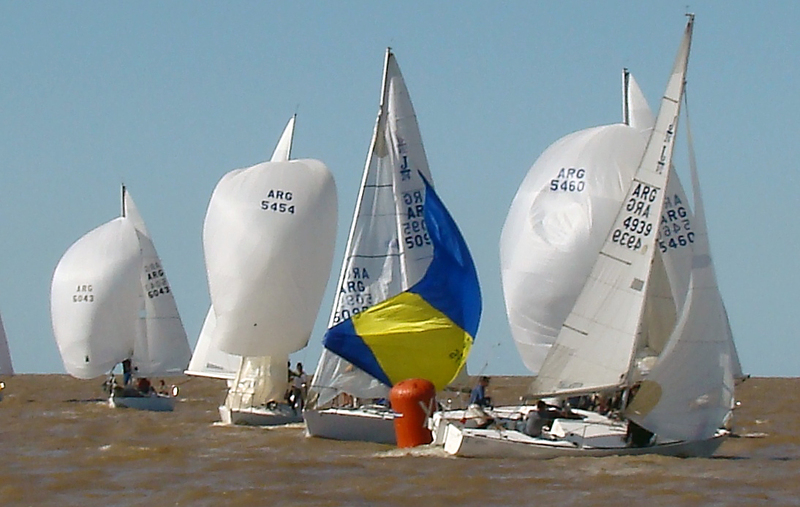 If you want to know more, have a look at the site of the Championship http://www.j24worlds2011.org.ar where you will find information about the Yacht Club Argentino, tourism in Buenos Aires city, rent of boats, hotels, etc. You can also follow the latest news that will be published in Facebook (2011 J-24 World Championship) and Twitter (J24_2011).